If I were involved as an Attorney Officer of the Court in a trial, I would now simply say…”I rest my case”. 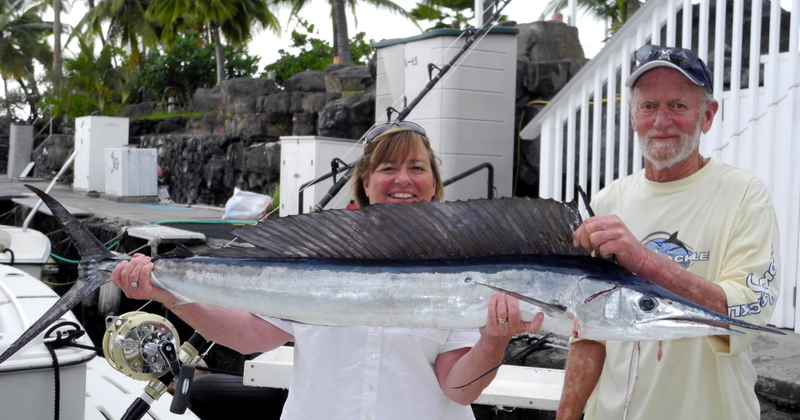 I offer this as the next exhibit as to why Kona is indeed the Anglers Paradise of the World. 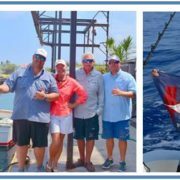 In this year’s World Cup Marlin Tournament, one day, a one day only, Worldwide, winner take all Marlin Tournament held on July 4th each year, with 500 pounds being the minimal weight to qualify, and 145 teams around the World participating in their own waters, in the end, only KONA had met the minimum weight to qualify as a winner. 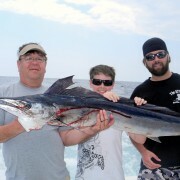 Not just one 500 pound Marlin was caught July 4th, 2011, in Kona, there were THREE…. Add in the winner’s prize of around $600,000 and this can be an exciting day in your life. Kona has won this event more than any other location with Bermuda and Mediera also being multi winners of the event. 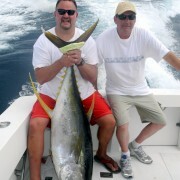 This year, Tom Whitcraft’s team from Thailand were aboard FIRE HATT for a full week of big league Tournaments in Kona. Moments before the Radio crackled with the news that no qualifying Marlin were caught around the World, leaving Kona as the last participants, an explosion of the long rigger and a screaming 130 Shimano reel giving clear evidence of size and strength, 1000 feet of line disappeared in an eye blink. Two people on the deck yelled out they saw a “Bill”. 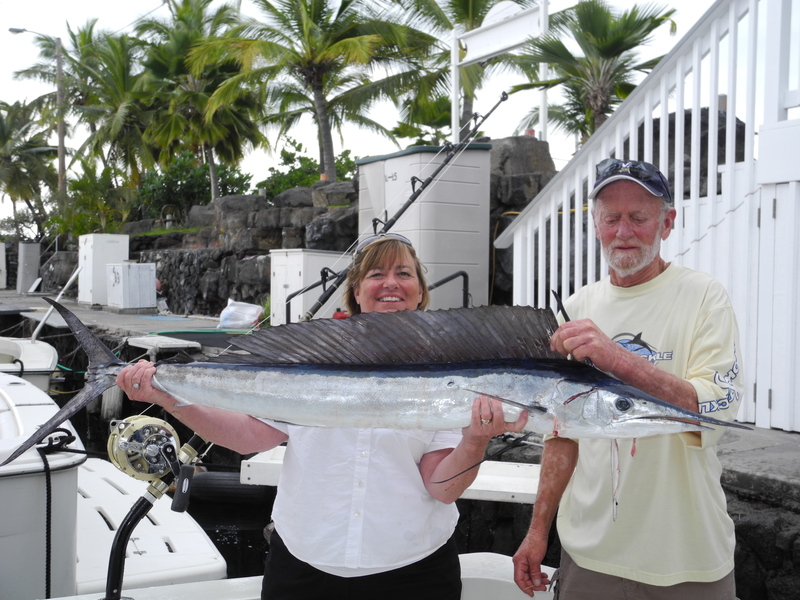 For the next hour angler John Page, from England fought the fish back to the surface and everyone on board had visions of a large Marlin soon to be surfaced. Chuck Wilson, the Captain had voiced his concern that when a big fish like this does not surface, it could well be a large Ahi (Yellowfin Tuna) but the fish did not “dig deep” and stay straight down but fought at shallower angle….so maybe….. Alas, not to be, an Ahi that weighted 186 pounds, gilled and gutted, appeared….and it was tail hooked…which explains the “I saw a Bill” comments. They saw the blinding blur of the tail fins no doubt. 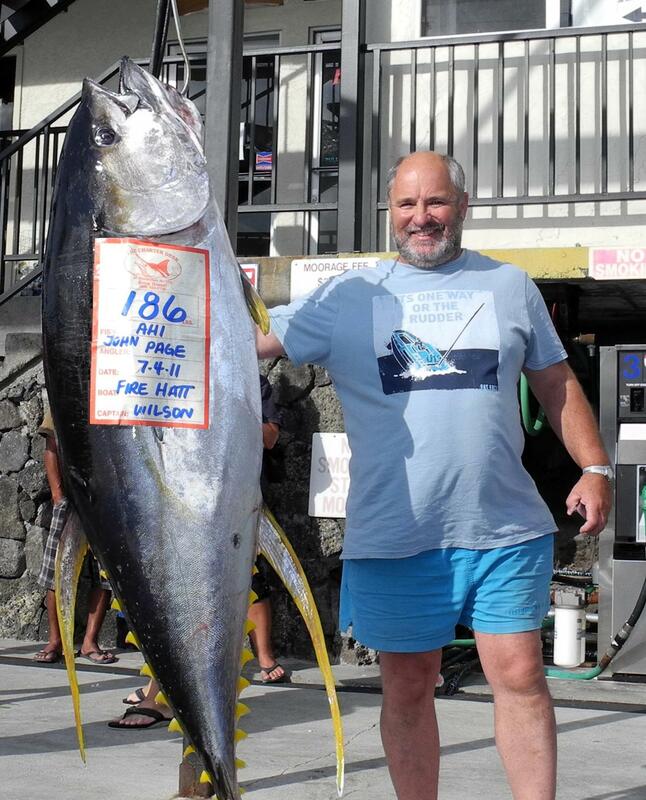 Can any of you imagine at being disappointed capturing and weighing a 186 pound (probably over 200 with blood and entrails attached) Ahi????? Such is the World of Tournament fishing. 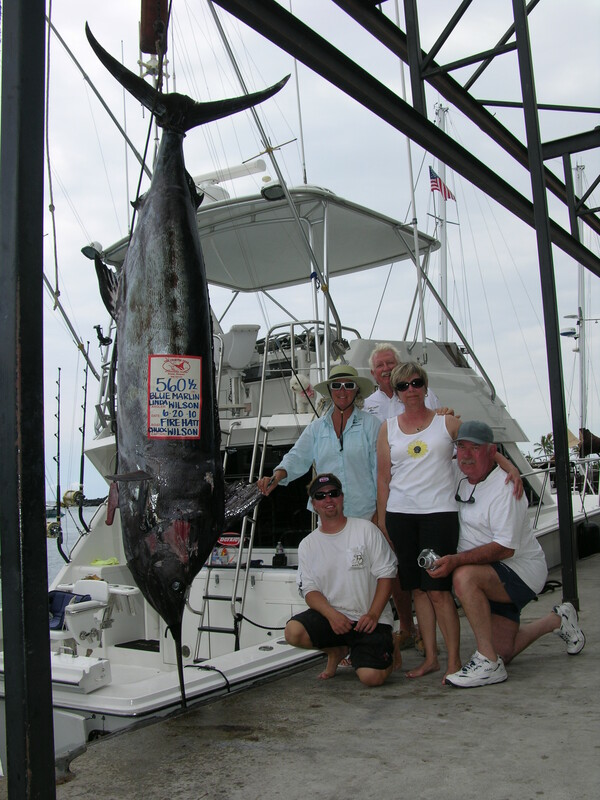 Congratulations to the boats Maui Jim (792 pounds), Sea Geni (585 pounds) and the Five Star (535 pounds) for their huge fish in the World Cup this year.